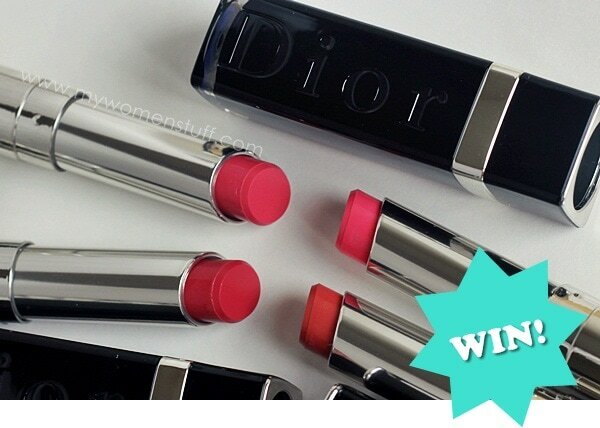 The hype surrounding the new Dior Addict Extreme lipsticks is taking the world by storm! The Dior Addict lipsticks were revamped last year and made Iconic and this year, they have been made Extreme, in that the colours are supposed to be more pigmented and they wear longer on your lips while retaining the moisturizing balmy effect characteristic of Dior Addict lipsticks. I received the new colours to try out, but there’s only so many I can wear so I decided to share the love with you because I know you’d love it 😉 So, we have here 4 of the new Dior Addict Extreme lipsticks to share with 4 of you lucky readers. As these are new, and I only have one of each, I will not be swatching them so do check online for colour representations. I will bring you a review and swatches of the rest of the colours released in the range, soon (we get 12 locally). Compulsory: Leave a comment below about anything at all BUT you must choose the colour you want and use it in your comment. If you win, you will win the colour of your choice. 1 person = 1 entry so choose wisely and choose just ONE (1). Choose from either “Silhouette“, “Avenue“, “Holiday” OR “Cruise” and be creative. Optional: Tweet or Like this post (use the buttons after this post) and then copy and paste the status LINK in a comment here. Twitter and Facebook accounts must be public for verification or your entry will be disqualified. 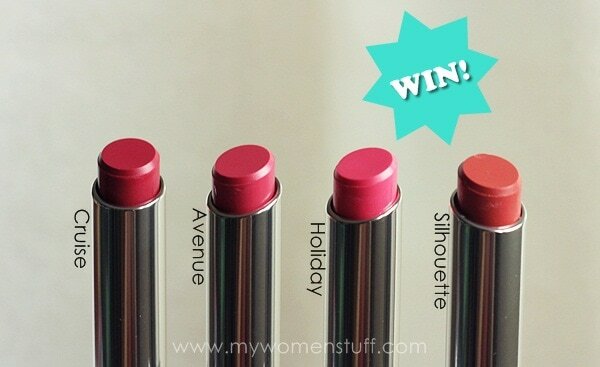 Love these lipsticks! I bought Plaza last week on my Holiday (hint, hint!) in Singapore. I was swatching them on my wrist when a makeup artist rushed over with a cotton pad and remover so I could wipe them off. (Never happens in Australia!) We got talking, she offered to do my lips with Plaza, then I needed to have my eyes touched up to match. Then I wanted to buy, so I ended up with a gorgeous photo shoot, hair styling and BB cream freebies. Then my mum got the same the next day. Shows that good service goes a long, long way! I’m a huge Dior convert now. Hardly bought any MAC at all, that’s how converted I am! Nobody will say ever say no to a ‘HOLIDAY’! Just the thought of it puts a smile on face. A bright pinky lip smile. Wow, wow, wow! I’m in love with Dior’s AVENUE! It’s just the right shade between red and pink, seemingly subtle yet adds a natural colour to my dull lips. I think this would be great for everyday use. AVENUE stands out as the most chic and gorgeous tone to me, very apt for a city girl! It would be lovely to wear the bright pink lippy for my holiday with the special one! The new Dior Addict Extreme Lipstick looks so gorgeous, how could anyone ignore this exceptional offer to own one. Cruise is my choice and I am sure it will give me a kissable looking lips no man could resist. On a hot day like this, when I wish I was on a holiday at the beach, or by the poolside, I’d wear a big hat, slick on Holiday and perhaps wear little else! Will this Dior Avenue be my ‘ever-new’ lisptick? i can feel the natural rose is beckoning at me! i wish to own a Dior Addict Extreme Lipstick in Avenue. I want to win this! It doesn’t take an apartment on Fifth Avenue to make a girl happy! I’m sure just a dash of Dior Avenue will be able to brighten up my day any minute! I often heard the word Silhouette, but do you believe it i asked my uncle goo the meaning of Silhouette? hehe.. i hope i am not the only person who doesn’t know its exact meaning. For those who are in my shoes, look below for the meaning! hehe. 2 a dark image, especially a shadow, seen against the light. Smile – with a lips like an angel. I’d be happy to be your ‘silhouette’..